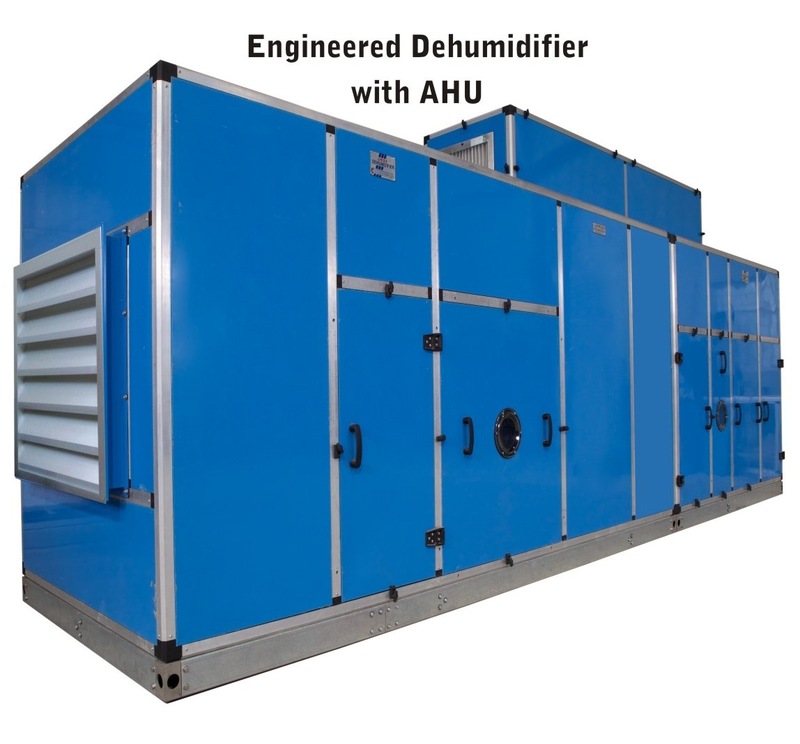 Keeping Customer’s ever changing requirements in mind, Appidi Technologies launched combined unit of Engineered Dehumidifier to control Temperature, Relative Humidity and Filtration. The air handling units are integrating pieces of equipment consisting of fans, cooling coils, heating coils, air controls dampers, filters. The purpose of this equipment is to collect and mix air from the Desiccant Rotor with that returning air from the building space. The air mixture is then cooled / heated, after which it is discharged to the building space. The Centrifugal / SISW / Plug fans pulls air from the occupied / process areas of the building through return air ducts. Return air partially goes to the Dehumidifier along with fresh air and the balance air is directly by passed to the post cooling coil section of the ENG. Dehumidifier. Thus mixture of air from Dehumidifier rotor and the return air is called the process air. Humidity control is essential prior to painting of internal surfaces in large construction, bridges, warehouses, tunnels, wind mill towers etc. Survey No: 123, Jeedimetla Village, Quthbullapur Road, Hyderabad - 500055, Telangana, India. Copyrights © 2019 Appidi Tech. All Rights Reserved.